What happens when tens of thousands of people take to the streets? Regimes can get toppled. Laws can be changed. Wars can be stopped or started. Revolutions can happen. Of course, these things don’t happen merely because of a march. They build slowly overtime through the work of impassioned and dogged individuals who decide to take a stand and make a difference, no matter how long it takes. In many ways, a march is just the visual representation of hours of organizing and lost sleep… or the kickoff of more to come. Witty posters don’t make a revolution. People do. People like you. It’s the people who take the time to pay attention to what’s going on in the world around them, and then refuse to sit back and let it happen. It’s the people who read the news and stay informed about what our elected officials are doing. It’s the people who show up… at City Council meetings, at community gatherings, and at legislative hearings. For too long, these people have been too few and far to find. In Austin’s last mayoral runoff election, more than 85 percent of eligible voters didn’t cast a vote for the man who would go on to represent a city of nearly one million people. In Texas’ last gubernatorial election, 66.3 percent of registered voters did not show up on Election Day. Even in the 2016 presidential election, 42 percent of eligible American voters did not cast a vote for the future leader of our country. Of course, voting is only one measure of civic engagement, but it’s also arguably the easiest way to participate. As a journalist who has covered elections up close, I would consider it a small revolution if our country even got to the place where 75 percent of our citizens were participating in elections - at the local, state, and federal levels. Just take a moment and imagine what that would mean. In Austin, that could bring about 500,000 more people into our political process. That’s 500,000 more mothers, fathers, teachers, nurses, students, artists, and musicians... all helping to pick our leaders. And what if the revolution went beyond that? What if it included not only more people voting, but more people showing up at those City Council meetings, community gatherings, and legislative hearings? I’ve spent years covering these events, everywhere from small town Pennsylvania to the big city of Austin and if you think voter turnout is low, it’s nothing compared to the low turnout at city halls and state houses across the country… And those are precisely the places where the real action is happening. So how do you join in on this revolution? How do you take your political t-shirts and posters and turn them into action? How do you turn paying attention and giving damn into a political movement? This past year has seen a lot of marches and rallies for all sorts of different reasons and purposes, but what I think has been so cool (and quite frankly, surprising) about them is the number of new people these types of events have brought out. For the first time, I’m seeing friends I’ve known for 10 years show up at rallies and proudly post pictures on social media who have never before shown an interest in civic engagement. These are people who barely remember to vote… and they’re out there marching for whatever their cause might be. People of all different political stripes are awakening to the fact that this is a democracy, one that simply doesn’t work unless everyone is paying attention and getting involved. But we still have a lot of catch-up to play. When civics is dropped from school curriculums, when we go years without voting, when we’ve never known the name of our City Council person, it can be hard to just jump into the fray and make a difference. Those same friends that I’m now seeing show up at marches are also stopping and asking me, “What do I do next?”. After hearing this question over and over again, I decided it was time to do my part. As a local journalist, I have the benefit of seeing how our political systems work up close and personal. But I had never taken the time to sit down and share all of that information… until now. About a year ago, recognizing the need for better adult civics education, I partnered up with two amazing local artists (Hal and Jordan) and we got to work. We went through all of that information I had in my head, interviewed other local experts, and spoke with real live City Hall newbies in order to better understand what information would be most useful to them. 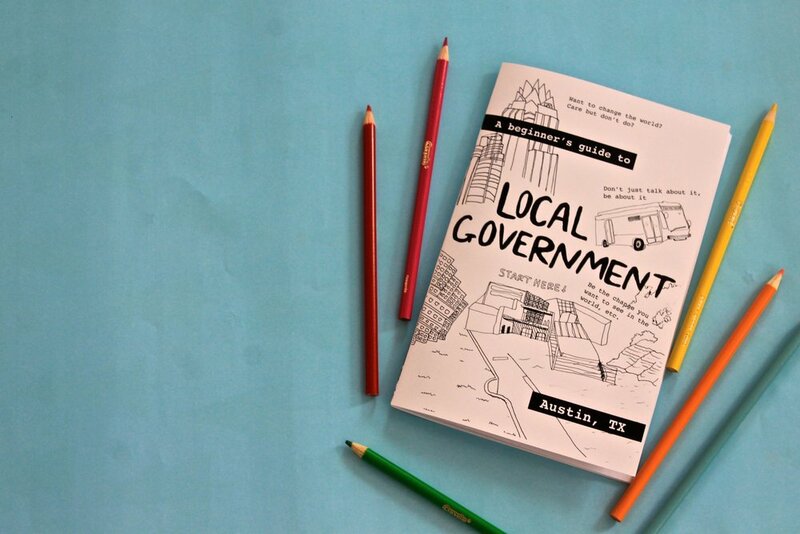 Then we wrote it all down, illustrated it, and turned all of that info into an interactive activity book, perfect for any Austinite looking to get more involved. 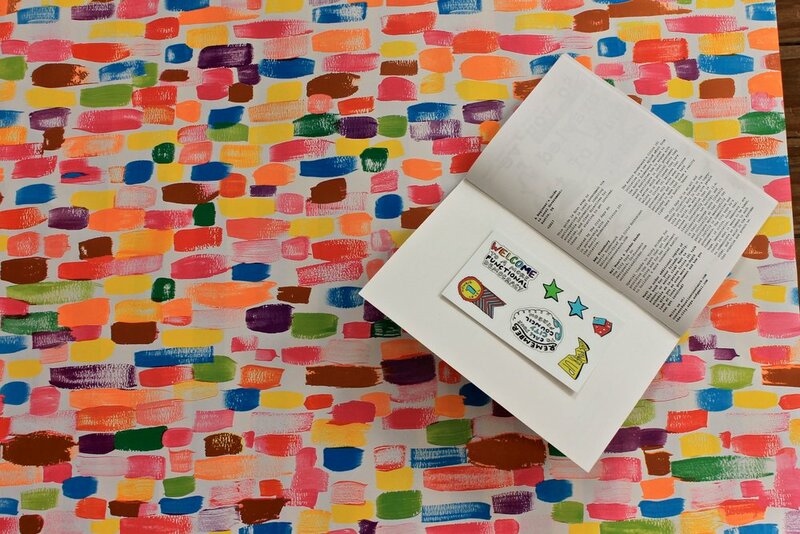 And most importantly, we made sure that the book was fun, entertaining, and educational, all at the same time. And so, “A Beginner’s Guide To Local Government” was born. We’ve been pouring our hearts and souls into this project for the past year and we’re finally ready to share it with all of you. 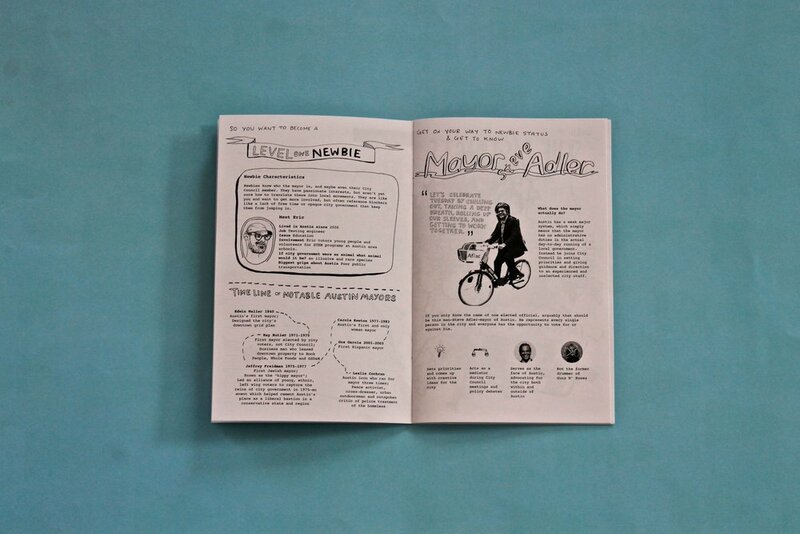 We’re launching a Kickstarter campaign at the end of February to help fund the cost of printing the books. Our goal with the campaign is to get the books into the hands of 5,000 Austinites by June and to raise enough money to donate a portion of them to nonprofits serving local high school students, teaching the next generation of Austinites how to get involved. For us, that would be the start of a small revolution. We envision a world where Austin is the most civically-engaged city in the country. Where every resident knows who their City Council person is and votes in local elections. Where we all have the knowledge and agency to build our community into the one of our dreams. Where civics is at the very core of our culture. That’s the movement we’re creating and we’re inviting all of you to join us. Welcome to a more functional democracy. 1. 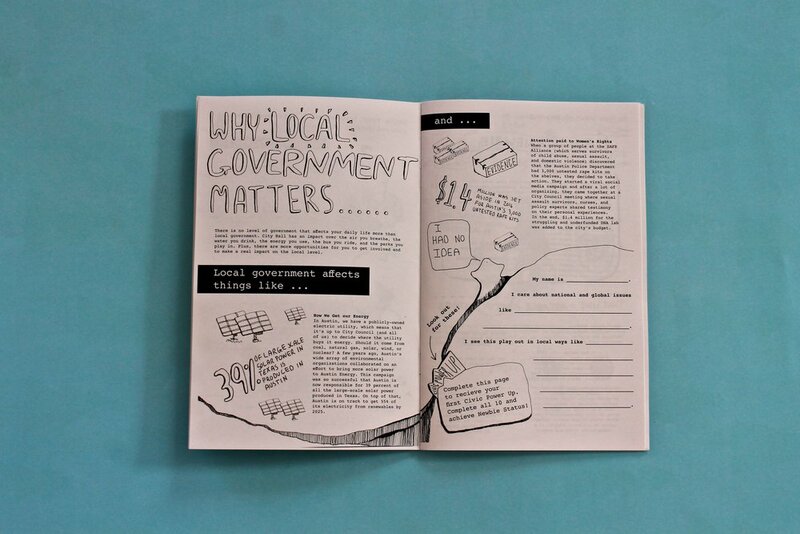 Sign up to get alerted when our Kickstarter campaign goes live and you can buy your very own copy of "A Beginner's Guide To Local Government." Sign up with your email address to receive news and updates about when our Kickstarter campaign launches, ways to get involved in local government, and upcoming educational and happy hour events. By subscribing, you're joining our movement to build a more functional democracy. This project has been a truly grassroots effort, born because a couple of rambunctious ladies saw a problem that needed solving. By getting involved now, you are helping to get this project off the ground. We have big plans for this to bloom and grow and we couldn't do it without your support. We believe Austin can be the city that solves this country's civic engagement crisis - and it starts with each and every one of you. 2. For some political fun (and useful information about how to get involved in local government), follow us on Instagram (@afunctionaldemocracy). We'll be posting quizzes, mini info guides, and inspirations in the weeks leading up to our Kickstarter launch. About the author - Amy Stansbury is a local journalist (Editor-In-Chief of the Austin EcoNetwork) and civic nerd. She is passionate about teaching anyone and everyone who will listen more about local government and how to get involved. She is also a co-author of "A Beginner's Guide To Local Government."